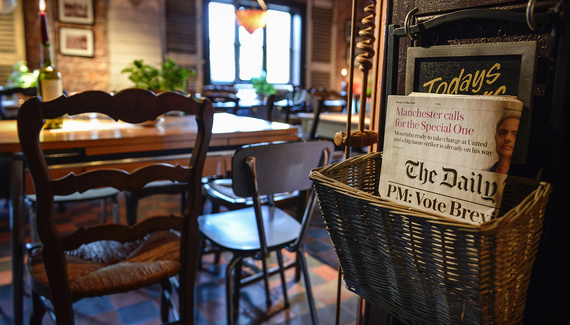 From the cobbled pavement planted with little trees to the split-level terrace that catches the sun, you could believe you're in a French valley rather than an English village whose lucky residents now have a third offering from the Cheshire Cat team. 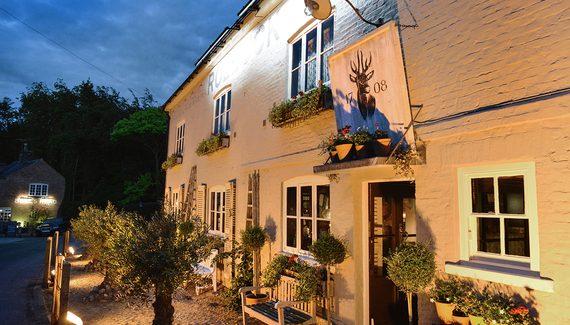 The Roebuck dates back to 1708 and has been restored with extraordinary love and style. Rustic shutters, shipped from France, sit prettily on the pink-brick masonry. 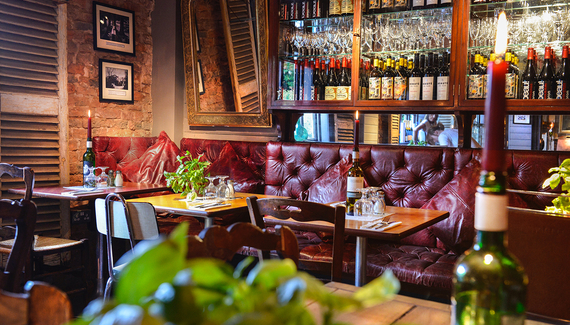 Café tables, wine-red leather settles, mirrors, candles and a host of wine bottles make a colourful backdrop for tasty lunches and dinners with a Mediterranean flavour: Toulouse sausage cassoulet, classic croque monsieur, smoked mackerel and orzo salad with orange and dill. 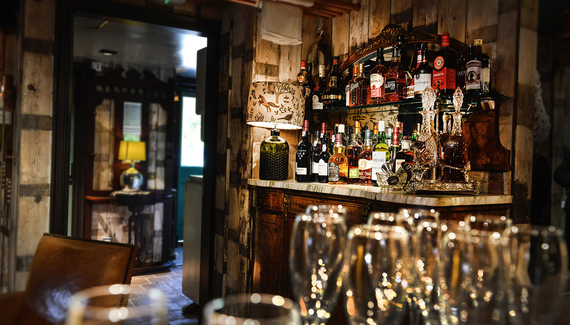 Sample local craft beers and ciders, let the wine list tempt you, or indulge in one of the 'seven deadly gins of the season'. Devilishly good. Knutsford Town is just a few miles away. 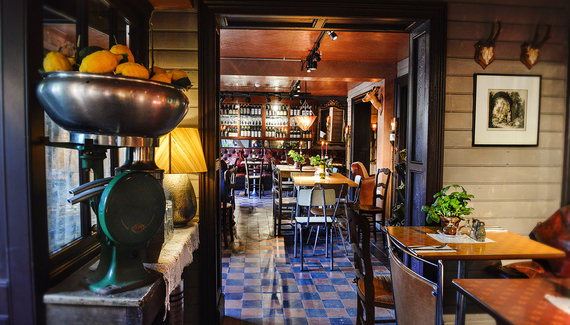 Visit lots of independent shops such as The Bath House. 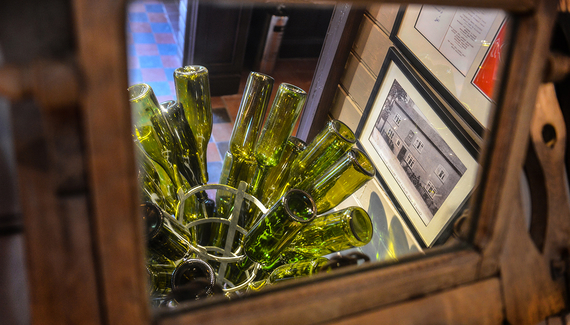 It also has a fantastic Antique Centre that you'll be sure to get lost in, it's so big! Cheshire Health Club and Spa - this beautiful health and beauty spa is just a mile down the road from us and our guests can enjoy a reduced rate to use the facilities for the day. The Mere Golf Resort - set in the beautiful Countryside, yet only a few miles from us, you can enjoy a round of golf or even book a day in the spa. Tatton Park - this beautiful National Trust property is made up of over 2000 acres which include meres, deer park and woodland. Enjoy a walk around the gardens and house and reward yourself with a cup of tea in the Head Gardner's Cottage tearoom. 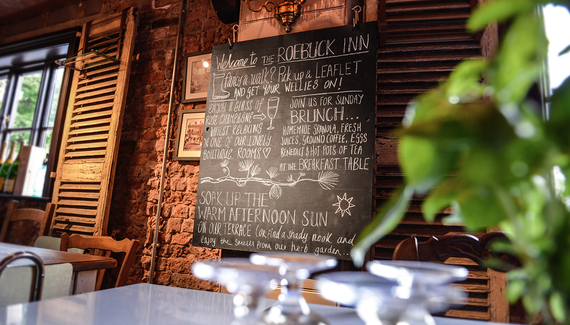 Have you visited The Roebuck? Starters from £3.95. 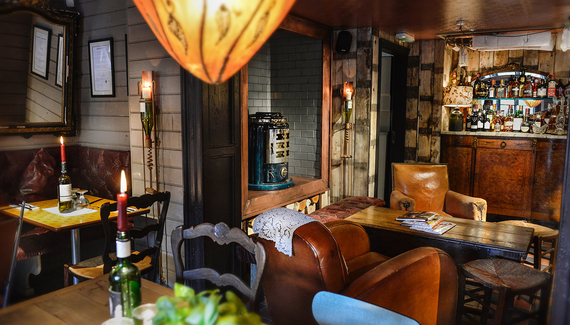 Lunch from £7.95. 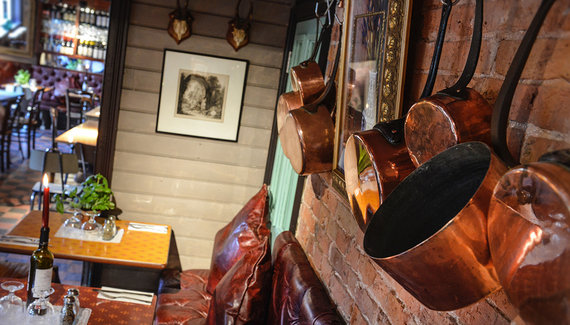 Dinner from £12.95.